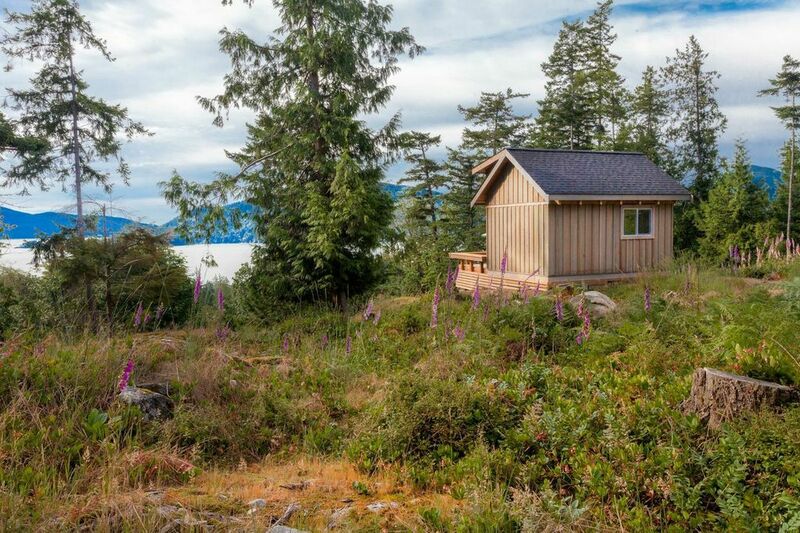 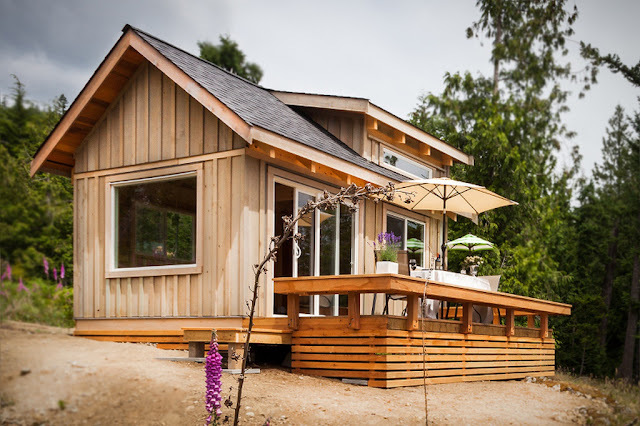 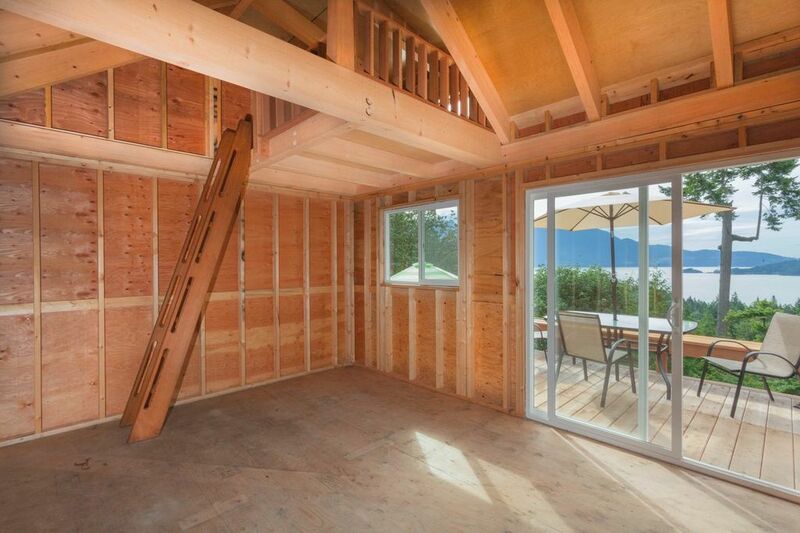 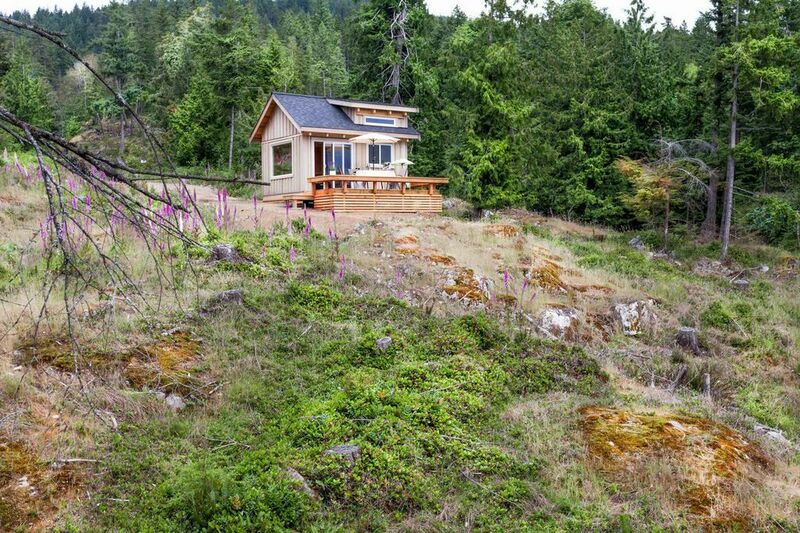 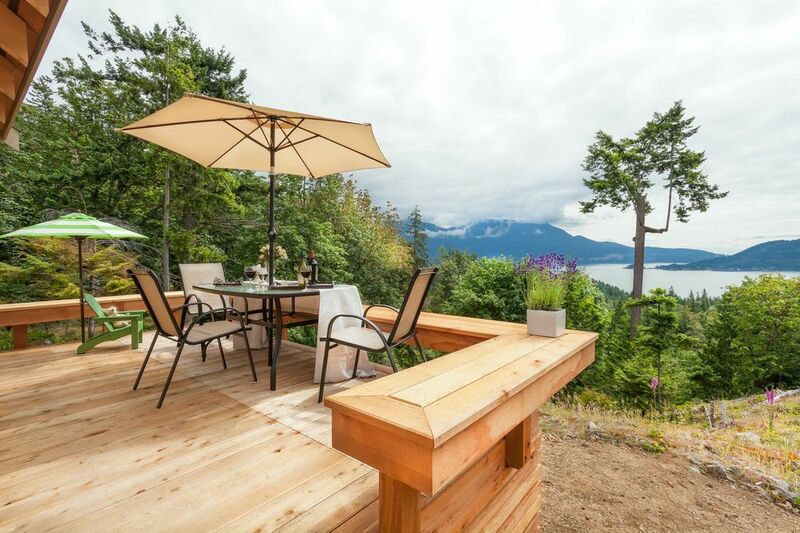 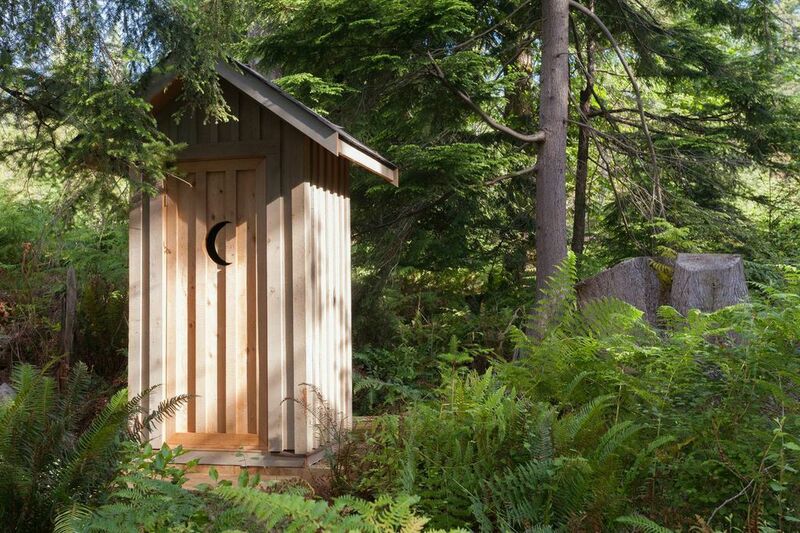 This charming cabin on Gambier Island, located north of Vancouver, measures just 16 ft x 12 ft. 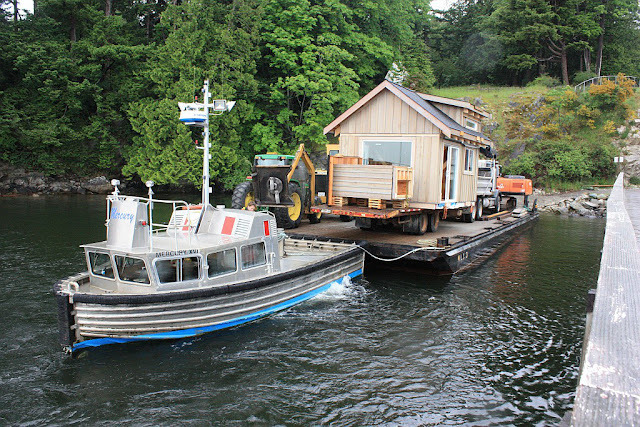 The home was built off-island by Click Modular Homes, then transported by boat to its permanent location. 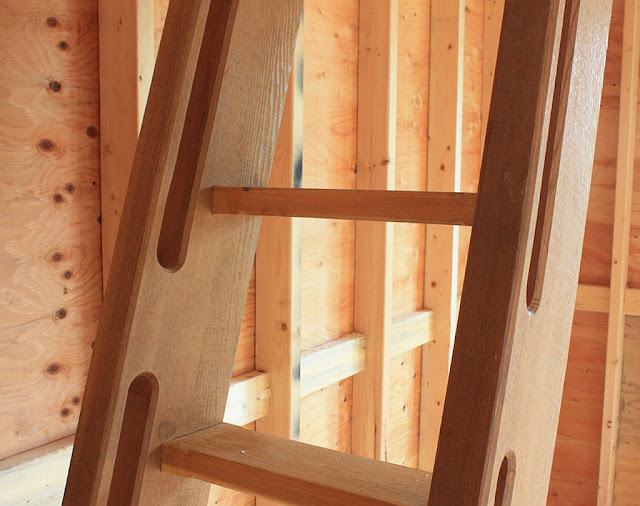 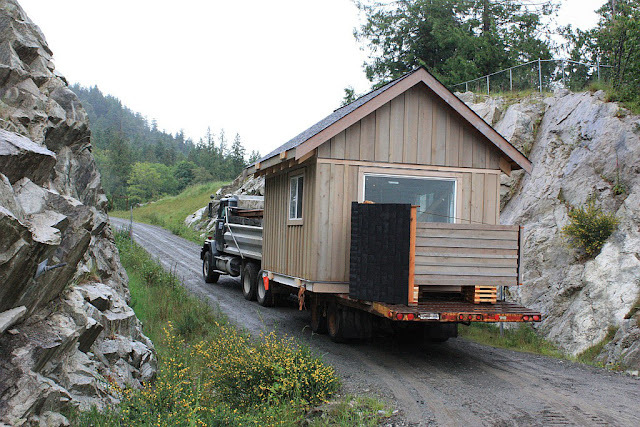 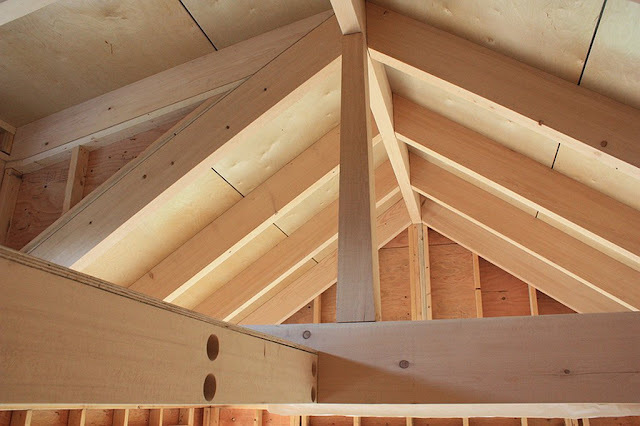 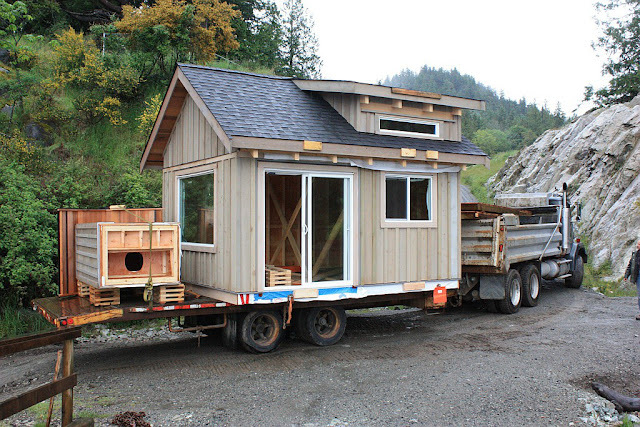 It’s a 192 sq ft, one-room cabin, with a loft bedroom, made from Western Red cedar board. The cabin also comes with a small outhouse, stationed just a few feet away from the home.